Or if you prefer, you can choose to give a recurring donation on a monthly basis. You will be re-directed to the PayPal website. 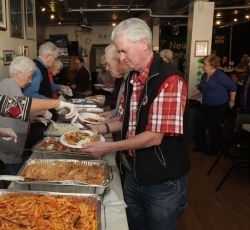 The New York Irish Center is a not-for-profit 501(c)3 organization. All donations are tax-deductible to the extent allowed by law.